“Manta. The noun “mantija”, that exists in the present day Macedonian language represents a type of long garment. In 19th century Macedonia one finds the same female name Manta.” Quote was taken from: “Similarities between ancient Macedonian and today´s´ Macedonian Culture (Linguistics and Onomastics)” by Aleksandar Donski, celebrity “historian” and propagandist of pseudo-Makedonism from FYROM. The name Manta / Μαντα for female and Mantas / Μαντας for male is not very well known. We were not able to find any mention of this name in any literary or historical document and not a single known person in ancient history is known to have it. But when we search the ancient Greek epigraphic record it comes up as a rather well attested name, in certain areas. καὶ Μαντα ∙ Ἀγάθωνος ∙ τῶι τέκνωι. and Manta daughter of Agathon to their children. The mention of Hero, of the well established Thracian hero cult, especially in the part of Macedonia that used to be Thrace, makes us immediately aware of the fact that the persons of the inscription have a Thracian set or religious beliefs on the afterlife. Let us keep this in mind. The rest of the names are Greek, except Manta, whose etymology at the moment escapes us. ἡ σύμβιος τῷ εἰδίῳ τέκνῳ μνείας χάριν. his wife to their own child in memory’s grace. Here the situation is a bit complicated but explainable: The Latin names Aurelios / Aurelia means that we have a husband, Stynderas and his wife,Manta, both obviously of Thracian descent, who are Roman citizens. The husband uses also a Greek name by which he contacts himself in the Greek speaking Thessalonican society: Dionysis. Small details like this speak volumes about what was the dominant culture and language of ancient Macedon, even among the ethnic minorities of the era, like the Thracians and Paeonians. Pontios, Apollodoros and Philippos are Greek names. The patronyms Rekeptas and Mantas are not. From Edonis, by the Pangaion mountain, in the modern prefecture of Serres, Macedonia, Greece, come the next two tombstones with the ages of the deceased and their names. The first one is Mantas son of Mestes and the person in the second inscription is Mantas son of Dionysios. Except for Dioskourides (the son of Zeus) and Syros (the Syrian), the other two are Thracian names. Kotys is a name of several famous Thracians with at least five known Thracian kings bearing the name Kotys. It is also part of the name of the Roman emperor Hadrian/Adrianus/Ανδριανος, who was a Thracian by descent. Karberenthos has a very Thracian ending: “-kenthos”, “the child of”. Karberenthes simply means “the child of Karberes”. The names, as expected for names of emancipated slaves, are mixed: either Greek (Dionysios, Glaukias) or Thracian (Bithys, Kotys). Searching through the epigraphic record for the name Mantas we notice that in this format it is concentrated in a fairly compact land, that used to be either Thrace or Paeonia, and but later was incorporated into the Macedonia state. Obviously many of the Thracians and Paeonians who remained living there, whether free men, slaves or emancipated freemen (apeleutheroi) still used their Thracian names or patronyms along with Greek and later Roman names too (Roman names only if were granted the Roman citizenship). Leaving antiquity for a moment, we take a forward journey into the 20th century and read about a legendary modern Greek poet: Costas Varnalis/Κωστας Βαρναλης was born in Burgas (Pyrgos/Πυργος in Greek) of Bulgaria, in 1884. His family’s roots were from Varna as his last name implies. He studied in the Greek community schools of Bulgaria, in Pyrgos/Burgas and in Philipoupolis/Plovdiv, before continuing his studies in Athens and in Paris. In Paris he became a Marxist and joined the communist movement, which, along with poems like the one below, cost him his professorship in 1926. He received the Lenin prize of USSR for literature in 1959, after being awarded three years earlier the highest price of the Company of Hellenic Writers. He died in 1974.
come on, eternal Symbol you! Kyr-Mentios/Κυρ-Μεντιος/Sir-Mentios or Lord Mentios is the generic name that Greeks lovingly use when referring to a particular donkey, any specific donkey, in the same way that Americans use “Fido” as the generic name for a dog. What most modern Greeks do not seem to realize is how ancient the colloquial “Kyr-Mentios” donkey name is and how intricately woven it is into our ancient Greek and indeed our prehistoric Indo-European roots. When a visitor to Olympia goes into the Museum, he is awestruck by the raw expressive power of one of the lightest-footed sculptures ever created in marble. It is a statue of Victory: Nike/Νικη of Paionios, as it is known, was created between 425-421 b.C. It was a votive offering to Olympian Zeus by the grateful Messenians and Naupactians after their victory over the Spartans at Sphacteria in 425 b.C. Nike, her drapes sensuously revealing the contours of her divine body are flowing behind her as she seems ready to step out and fly into thin air, away from her pedestal. Her pedestal has the votive inscription and the name of the creator: ΠΑΙΩΝΙΟΣ ΕΠΟΙΗΣΕN ΜΕΝΔΑΙΟΣ/PAIONIOS EPOIESEN MENDAIOS: Paionios created this, the Mendaian. We know the name of the sculptor, Paeonios, and the city where he was from: Mende/Μενδη, a town in Chalcidice / Χαλκιδικη, in the north part of Greece, in Macedonia / Μακεδονια. Mende, as we mentioned earlier, was a city in Chalkidike. In ancient times, Chalcidice was part of Thrace until Philip II’s Macedonians moved in and took over it. But before the Macedonians, other Greeks mostly from Euboia and especially from Chalkis (hence the name Chalcidice) begun around the 8th century BC to settle in the area. They slowly established themselves and founded cities such as Mende, Torone, Scione, and Stageira the birthplace of Aristotle. Some sources mention Aristotle’s father, Nicomachos / Νικομαχος although a Stageiran by descent was actually said to have been born in Mende. The main export of Mende was wine, and not just any wine: white wine. It is difficult for us today to believe it, but in ancient times, there was no such a thing as anything but red wine. White wine was first produced and sold by the citizens of Mende, and wine lovers around the world sipping their Sauvignon Blanc, Chardonnay, Riesling or Pinot Gris, have none other than the Mendaioi to thank for it. The coins of Mende proudly displayed their vines and the God of wine and drunkenness, Dionyssos himself. Traditionally, when Dionyssos was shown in the presence of an animal he was usually siting on a panther. Curiously, and exceptionally on Mende’s coins Dionyssos is always portrayed laying on the back of a donkey. And this is Mende’s second claim to fame: Her donkeys. Mende was known for her special race of Mendian donkeys, famous around the ancient world, and always displayed on her coins, even when no Dionyssos or vines were to be seen on them. The donkey as it is apparent, was the symbol of Mende. 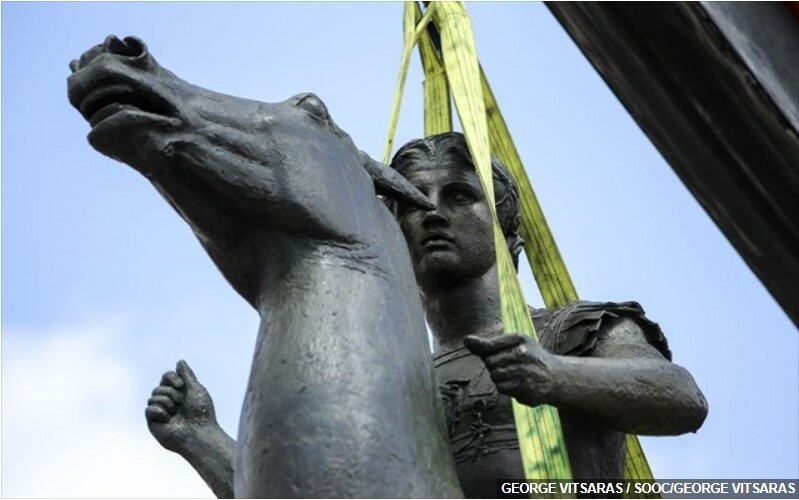 In fact the identification of the city of Mende with her symbol, the donkey was so strong to the other Greeks, that as we saw earlier in Varnalis’s poem, every donkey in now modern Greece is called the Lord from Mende, a Kyr-Mentios (Kyr-Mendios)/Sir-Mendios/Κυρ-Μεντιος. Going back now to Byzantium, find Procopius of Caesaria / Προκόπιος ο Καισαριας. He was a 6th cAD historian who wrote extensively on the reign of Justinian, emperor of Byzantium, the Eastern Roman empire. Procopius (Procopii opera omnia VI. De aedificiis / Περι Κτισματων, VI) mentions a place in Mysoia called Mούνδεπα or Μάνδεπα where Justinian had built a castle. The etymology is a combination of the word that created the toponym Mende in Chalcidice and the ending “-apa”. “upa ´river´ [Lith. ùp ´river´, Latv. upe ´river, stream´]. And we see this word also as an ending of hydronyms like apa, aphus ´water, river; a spring´ [Old-Pruss. ape ´river´, apus ´spring´, Old-Ind. p- ´water´]” and also: upa ´river´ [Lith. ùp ´river´, Latv. upe ´river, stream´]”, according to Ivan Duridanov (“The Language of the Thracians”). He mentions as examples *M sypa/Μοσυπα (´mossy river´), Rhodópe/Rhodopa/Ροδοπη/(Θρακιστι Ροδοπα, which is now a name for a mountain range but it started as a hydronym for a river, a tributary of Ebros) and further north, in Upper Mysia we locate ZaldapaΖαλδαπα. So, now we know that Mandepa or Mendapa means river of something, of “mende”. Yet we still do not know what Mende the name of the city or mende of Mendapa means, to explain both of them. We need to dig even further. There are two modern languages that are directly derived from Dacian (the ancient language of the Dacians, the language most closely related to Thracian): Romanian and Albanian. Romanian is considered to be a fully Latinized Dacian and Albanian is essentially a partially Latinized Dacian language, according to most linguists. Both Romanian and Albanian share a base of residual Dacian words. Our Albanian friends who have been hammered by Enver Hoxha’s regime propaganda about the “Illyrian descent” of the Albanian people will of course disagree, but the linguistic and historical evidence is there for anyone to check. The Bulgarian linguist Georgiev has indeed done a splendid work explaining this and so has the noted University of Chicago linguist Eric P. Hamp . 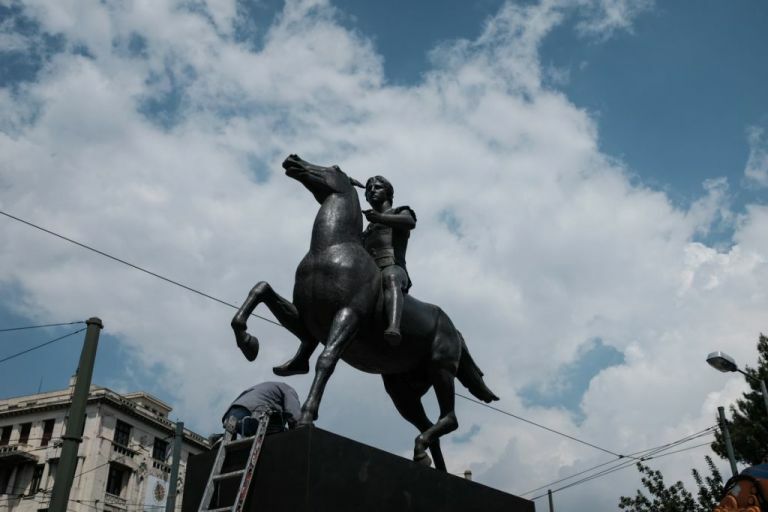 We check what Ivan Duridanov tells us and indeed we find that Albanian mës, mëzi, mëz, mâz means “pony” or “colt” in Albanian and mînz or mânz means “stalion” or “colt” in Rumanian. As it turns out, there was indeed a Menzana Jupiter, a “horse deity” in Messapian, an Illyrian-derived language spoken on the Adriatic shore of Italy, to whom horses were being sacrificed. Manda meant “pony” in Illyrian, and therte was also a city with a horse-related etymology called “Manduria” in Apulia. According to the Russian Словари и энциклопедии на Академике (Academic Dictionary and Encyclopaedia – http://dic.academic.ru), the original equastrian-related word was *”mandos”, and it was in turn related to the toponym mandela in Latium, close to Rome. Mandela’s original meaning was “small stables”. The same meaning appears in the Sanskrit word “mandura” which is describing a “stable for horses” and also in the Greek word for stable : “mandra / μανδρα”, a word still used today for animal enclosure. On the other side of the Mediterranean, at the area where Spain touches France and both are watered by the Atlantic ocean, the Basques speak the only truly indigenous language of Europe. Their Basque language, although not related to Indo-European, has taken in several words from other languages, including Latin, Celtic and Arabic. From the Celtic language the Basques have taken the word “mando”, which became incorporated into their language and to them it means “mule”. From this it eventually took the meaning of the small suckling animal and in many instances the small horse, which was arguably the most important animal to the Indo-Europeans, and later on to the Thracians, from whom we started. The originally Thracian and later Greek city of Mende / Μενδη, had a donkey as her symbol and a name to go along with it : Mende / Μενδη : the donkey place. 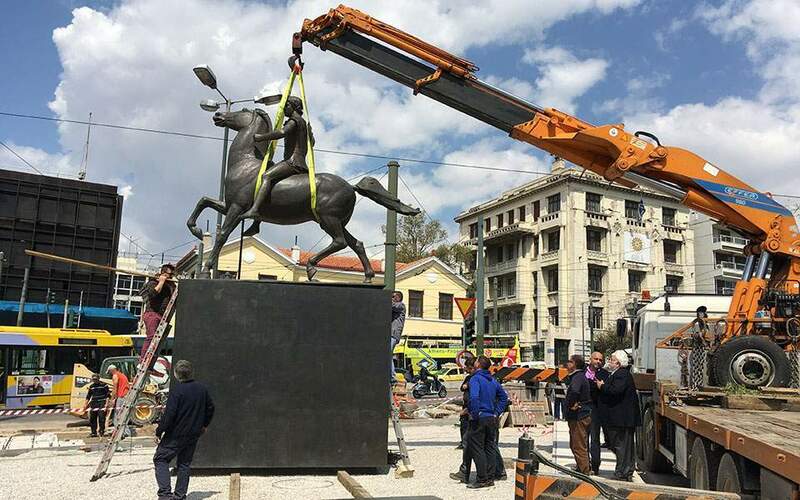 The Greek settlers probably had no idea that Mende / Μενδη meant “donkey-place” in the language of its previous inhabitants but they still continued stamping the humble donkey on their city’s coins: traditions as always are hard to die. Now let us look at some other inscriptions and see how the name Manta would appear in the epigraphical record in alternate spellings and phonetic developments. We need to keep in mind that the Greek alphabet was not tailored to the Thracian language and some borderline sounds could go either way. An “ae” sound for example could be written either as either as an “a” or an “e”. We have the example above of one toponym called alternatively Mούνδεπα/Moundepa, Μάνδεπα/Mandepa or Μένδαπα/Mendapa. There are three inscriptions from Thracian Moesia and the name Mantas appears here as Mentes/Μεντης. It is actually very close phonetically to the town’s name: Mende/Μενδη (“d” is pronounced as “t” ). The other difference of course is that Mende/Μενδη is feminine while Mentes/Μεντης, being masculine takes an “s” in the end. Aurelios Mentes son of Agathenor. The names Aurelios and Ioulios are of course Latin, but here we see them Hellenized. In a Greek speaking country such as Macedonia, they are being rendered in a Greek form. Aurelios, in order to stay true to the original Aurelius should have been written, transliterated as Αυρηλιους / Aurelious and Iulios in order to stay true to the Latin Iulius should have been transiterated as Ioulious/Ιουλιους. The same holds true for Antonios/Ἀντώνιος. Moreover they are not even written in the Latin script, but in Greek letters. Details like these, as we mentioned earlier, speak louder than whole volumes of books on Macedonia by learned professors who never sat down to learn its Greek language and study its original sourses. Thias, Estiaios and Agathenor are Greek names. “τοιγὰρ ἐγώ τοι ταῦτα μάλ᾽ ἀτρεκέως ἀγορεύσω. “To you I will indeed speak openly. and carrying a freight of shining iron. Moreover there was a squadron of Aenianian sail under King and next the lords of Elis, stationed near’-them, whom all the people named Epeians; and Eurytus was lord of these; likewise he led the Taphian warriors with the white oar-blades, the subjects of Meges, son of Phyleus, who had left the isles of the Echinades, where sailors cannot land. 845ὅσσους Ἑλλήσποντος ἀγάρροος ἐντὸς ἐέργει. But the Thracians Acamas led and Peirous, the warrior, even all them that the strong stream of the Hellespont enclosed. And Euphemus was captain of the Ciconian spearmen, the son of Ceas’ son Troezenus, nurtured of Zeus. διαβὰς δὲ τοῦ Λίσου ποταμοῦ τὸ ῥέεθρον ἀπεξηρασμένον πόλιας Ἑλληνίδας τάσδε παραμείβετο, Μαρώνειαν Δίκαιαν Ἄβδηρα. ταύτας τε δὴ παρεξήιε καὶ κατὰ ταύτας λίμνας ὀνομαστὰς τάσδε, Μαρωνείης μὲν μεταξὺ καὶ Στρύμης κειμένην Ἰσμαρίδα, κατὰ δὲ Δίκαιαν Βιστονίδα, ἐς τὴν ποταμοὶ δύο ἐσιεῖσι τὸ ὕδωρ, Τραῦός τε καὶ Κόμψαντος. After he had crossed the dried-up bed of the river Lisus, he passed by the Greek cities of Maronea, Dicaea, and Abdera. He passed by these, and along certain well-known lakes near them: the Ismarid lake that lies between Maronea and Stryme, and near Dicaea the Bistonian lake, into which the rivers Travus and Compsantus discharge. ταύτας μὲν δὴ τὰς πόλιας τὰς παραθαλασσίας τε καὶ Ἑλληνίδας ἐξ εὐωνύμου χειρὸς ἀπέργων παρεξήιε: ἔθνεα δὲ Θρηίκων δι’ ὧν τῆς χώρης ὁδὸν ἐποιέετο τοσάδε, Παῖτοι Κίκονες Βίστονες Σαπαῖοι Δερσαῖοι Ἠδωνοὶ Σάτραι. τούτων οἱ μὲν παρὰ θάλασσαν κατοικημένοι ἐν τῇσι νηυσὶ εἵποντο: οἱ δὲ αὐτῶν τὴν μεσόγαιαν οἰκέοντες καταλεχθέντες τε ὑπ’ ἐμεῦ, πλὴν Σατρέων, οἱ ἄλλοι πάντες πεζῇ ἀναγκαζόμενοι εἵποντο. Xerxes marched past these Greek cities of the coast, keeping them on his left. The Thracian tribes through whose lands he journeyed were the Paeti, Cicones (Kikones), Bistones, Sapaei, Dersaei, Edoni, and Satrae. Of these, the ones who dwelt by the sea followed his army on shipboard; the ones living inland, whose names I have recorded, were forced to join with his land army, all of them except the Satrae. μετα δε την αναμεσον λιμνην Χανθεια Μαρωνεια και Ισμαρος, αι των Kικονων πολεις. καλειται δε νυν Ισμαρα πλησιον της Μαρωνειας. 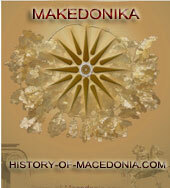 Maroneia, it should be noted, was built by Greek settlers in the land of the Kikones. It is not surprising that they adopted some of the Thracian symbols, beloved to their neighbors. This is not unusual. The equastrian and vine similarity of Maronia’s coins to those of Mende’s coins is stroiking and noteworthy. wife Anni daughter of Xenon. carrying with me the reputation of a long lived life. In Athens we find a most interesting inscription that makes mention of a type of a tax common in Ionia, called Lepsimandes Foros. Why should we say that this is interesting? Let us look at the etymology of the word: We break it in its two parts: ληψι and μανδῆς/lepsi and mandes. Lepsis/Ληψις means a taking, a seizing, an accepting a receiving, according to our Liddell and Scott’s Greek dictionary. It comes from the verb lambano/λαμβανω which of course means to take, to seize, to accept, to receive. The second part is: mandes/μανδῆς. This means that the person being taxed through the Ληψιμανδῆς/Lepsimandes tax had to pay not in money but had to give something to the state, to pay in kind. The word tells us what kind: mande/μανδῆ. ἐκ Πέργης δὲ ὡς προῄει, ἐντυγχάνουσιν αὐτῷ κατὰ τὴν ὁδὸν πρέσβεις Ἀσπενδίων αὐτοκράτορες, τὴν μὲν πόλιν ἐνδιδόντες, φρουρὰν δὲ μὴ εἰσάγειν δεόμενοι. καὶ περὶ μὲν τῆς φρουρᾶς πράξαντες ἀπῆλθον, ὅσα ἠξίουν. πεντήκοντα δὲ τάλαντα κελεύει τῇ στρατιᾷ δοῦναι αὐτοῖς ἐς μισθὸν καὶ τοὺς ἵππους, οὓς δασμὸν βασιλεῖ ἔτρεφον. 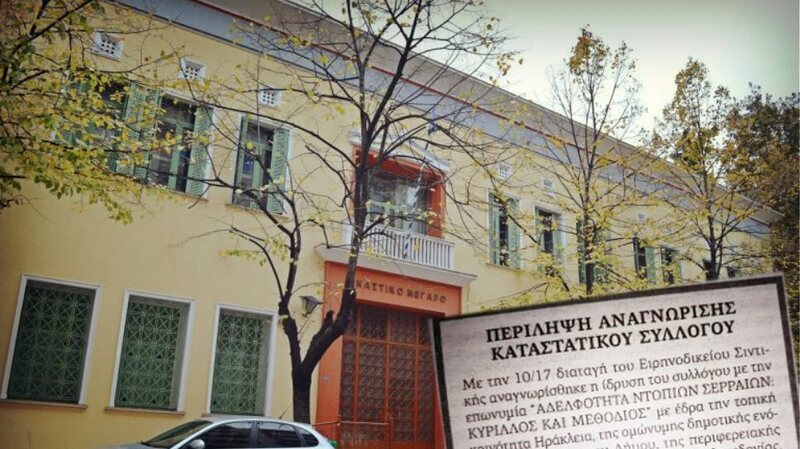 οἱ δὲ ὑπέρ τε τοῦ ἀργυρίου καὶ τοὺς ἵππους παραδώσειν ξυνθέμενοι ἀπῆλθον. Ἀλέξανδρος δὲ ἐπὶ Σίδης ἤει. As he was advancing from Perga, he was met on the road by envoys from the Aspendians with full powers, who offered to surrender their city, but begged him not lead a garrison into it. Having gained their request in regard to the garrison, they went back; but he ordered them to give him fifty talents as pay for his army, as well as the horses which they were rearing as tribute to Darius. Having agreed with him about the money, and having likewise promised to hand over the horses, they departed. Alexander then marched to Side. I believe that this gives us a very clear idea of what the Ληψιμανδῆς/Lepsimandes tax was about. It was a tax paid by the subject city in colts, in horses. It is obvious that Mantas, Mentes, Mendes are all mule, donkey, colt and horse connected names. It is not surprising at all, therefore, that a philippon (φιλιππον=horse-loving) and hippomachon (ἱππόμαχον=horse riding in battle) nation which bred the kallistous hippous (καλλίστους ἵππους=the best horses), an equestrian nation such as the Thracians would have names that are equestrian in nature, names like Manta/Μαντα and Mantas/Μαντας. Incidentally, since Rome was built a little after Homer was finishing the last poetic touches on his Iliad and Odyssey, I seriously doubt that he had much of a chance to visit Rome, learn Latin and then use it for his several mentions of the name Mentes. P.S. Those who believe that the Thracian name Manta is derived from the south Slavic “noun “mantija”, that exists in the present day” [Slavo-]Macedonian language [and] represents a type of long garment”, need to be informed that the south-Slavic “mantija” is directly derived from the Greek word mantila/μαντηλα. Mantila is the scarf used by women as head covering. 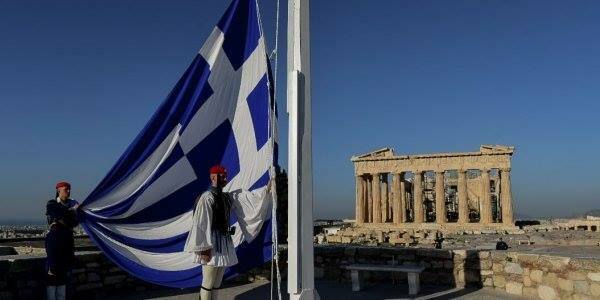 In the neutral form it is called mantili/μαντηλι or mandeli/μανδηλι and it is a handkerchief or a bandana. In its more archaic form it takes an “n” at the end: mandelion/μανδηλιον, meaning the handcloth. The most famous mandelion is the Agion Mandelion/Ἅγιον Μανδήλιον = the Holy Handcloth, and in the Eastern Orthodox tradition it meant to describe an Acheiropoietos/Αχειροποιητος (not created by human hand) icon, the handcloth that was placed on Christ’s face and copied his features after he was taken off the cross. It was held as a relic in a church in Edessa of Syria (named after the Macedonian Edessa, but now called Urfa, in Turkey). It was eventually taken to Constantinople but was stolen by the Latins of the fourth crusade during the sack of Constantinople in 1204. It was probably similar to the well known Shroud of Turin. The Greek word mandelion is itself in turn a loanword from the Latin mantilium, a “hand cloth” and mantele, meaning a hand towel (manus = hand in Latin). Many thanks to Soteria Tsimoura, a graduate student in Germany, for her tireless assistance in this and many other articles.